Monday Morning Mindfulness: Once Again: Lighten Up! Although, in my humble opinion, Spiritual Practice isn't about all the bright lights and fancy magical stuff, sometimes the Universe does really lay One on you, an event that defies any rational explanation. Ooops. I almost let the cat out of the bag. With another deep bow to Stephen -- and to a Most Amazing Universe -- I want to share, once again, the post from that day. Beyond the Mysterious Magic Manifested, it's encouragement to "lighten up" bears repeating. 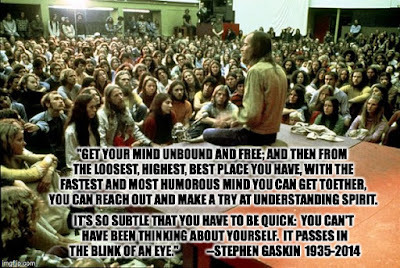 A couple of night's ago, unable to get back to sleep after a nocturnal "nature call", I had tried to write a memorial to Hippie Spiritual Teacher Stephen Gaskin, whose Life -- and recent Death -- touched me deeply. I got nowhere. I gave it up and read a bit of a Tenzing Norbu Mystery before finally stretching out to meditate into sleep once again. Still on the mend from the events of the past month, I've been mostly laying low, staying away from the computer and cell phone as much as possible, allowing myself to Heal after a couple of false starts had showed me quite clearly how energy depleting my addiction to these "devices" can be. This morning, I was quaffing my first cup of coffee in a couple of days (another addiction under modification) watching bubbles of confusion and angst float through my awareness, not quite sure what to do about my commitment to the MMM Courtesy Wake Up Call this week. I still was struggling with an attempt to put into words my thoughts and feelings about the passing of Stephen, a man whose Presence and Teachings had such a profound impact on my life. Then, (probably with a furrowed brow), I decided to reach for my cell phone to check my email, perhaps just fall back and select an old post to republish this time. Lighten Up! Posted 18 January 2014"
I have no idea what strange permutation of the Google space time cyber continuum could have possibly generated and delivered to me the email version of a post I'd written almost six months before -- especially at that very moment! How could I not lighten up? I broke into a bemused grin as I clicked it open. Just receiving this unsolicited and inexplicably"cosmic" MMM Courtesy Wake Up Call would have been enough to make my decision (just read, introduce and re-post this one for sure) -- and make my day. I began reading the post. It got even more mind blowing! As I often do, I had begun the post with two quotes. The first was from my current Dharma mainstay, Pema Chodron. The second was from the teacher who was probably the major influence on my spiritual practice for decades, though I've rarely quoted him here. 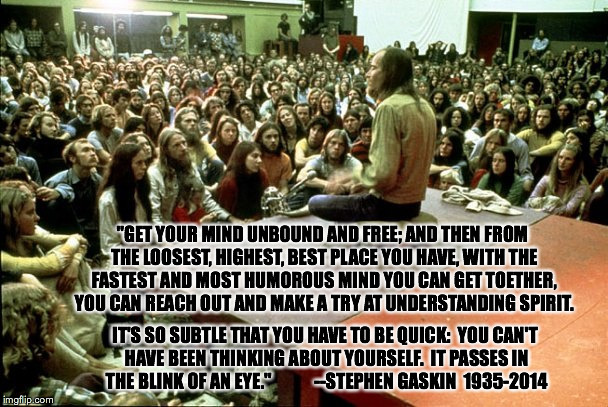 The quote was from Stephen Gaskin! 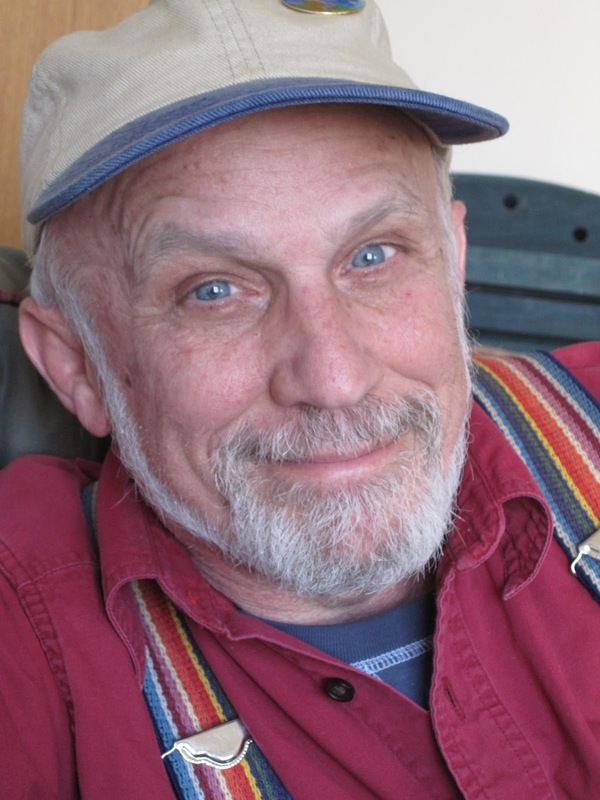 All I can do is grin, offer a deep gassho to Stephen, and to the Primordial Comedian of the Cosmic Mystery Medicine Show -- and renew my commitment to lighten up! Here's that post! "The key to feeling at home with your body, mind and emotions, to feeling worthy to live on this planet, comes from being able to lighten up. When your aspiration is to lighten up, you begin to have a sense of humor. Things just keep popping your serious state of mind." "Get your mind unbound and free; and then from the loosest, highest, best place you have, with the fastest and most humorous mind you can get together, you can reach out and make a try at understanding Spirit." All too often, it seems like those of us who are sincere spiritual seekers can get a bit too stodgy. It's not surprising, I suppose. Although some of us may have experienced lives of relative comfort and success, to then realize that there was still something lacking, I think many of us were drawn to the Practice because we'd had a hard go of it. We'd often led lives that included serious trauma and/or significant emotional distress. So, when we stumbled across Buddha's First Noble Truth, it rang true. We knew suffering to be real in our lives. When many of us, like me, then found out that he also proclaimed that there was a reason for suffering-- and, even more -- a freakin' way out!!? Seriously? Damn. Sign me up! 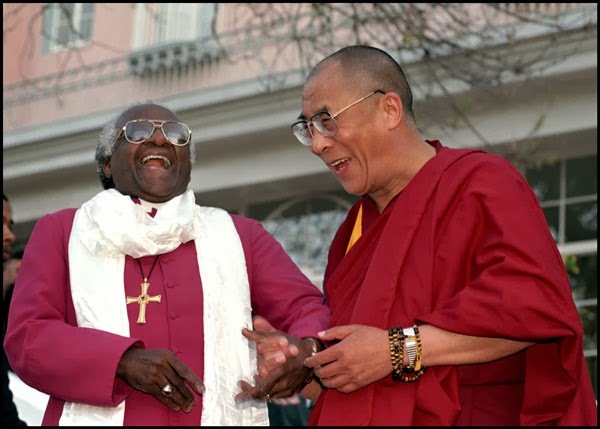 Even if we were drawn to other spiritual traditions as we entered the Practice, I think there was often a similar dynamic. Whether we were seeking nirvana or heaven, sat chit ananda or atonement, we were looking for Light at the end of the tunnel, some form of release from this "veil of tears". Then, whatever our path, at a certain point we knew that if we "wanted out" we had to get serious about it. Very, very, serious. Unfortunately, some of us then got deadly serious about it. I, for one, know that at one point my friends used to hate to see me coming. I could quickly squeeze the life out of any party. I didn't realize that the Practice could involve having some serious fun. I didn't realize that in order to really see the Light, it is helpful, maybe even crucial, to Lighten Up. should be able to master appropriate "one liners" -- preferably off the cuff. (This Dude has to handle an enormous amount of energy, after all.) I'm hoping that at some point an archeologist will unearth ancient scrolls containing the Jokes of Jesus to educate future Popes -- and, of course, strengthen my case. The 21st slogan of the Lojong Trainings* of Tibetan Buddhism is: Always Maintain Only a Joyful Mind. Pema Chodron, among others, points out that this primarily involves "lightening up". As part of our Practice, we can choose to approach the events our life with genuine curiosity and appreciation, with a sense of lightness, freeing ourselves from the judgmental mind that emerges from grasping onto a fixed model of how it "should be." Like any quality of heart/mind this is something that we can cultivate. If we actually aspire to this, our sense of humor deepens and emerges more freely. Thich Nhat Hanh even recommends that we meditate with a "half smile" on our lips to prime the pump. As the Practice develops, we also come to see that being of "good cheer" isn't just a quality of consciousness that makes Life flow more easily, it also has great wisdom. As Practice develops, we are able to perceive even our own rather dysfunctional patterns emerge and meet them immediately with a grin rather than allow them to sweep us along into the same untenable position time and time again. Although a perception of the Truth of the Matter can sometimes come in tears as we open our heart, it can also readily appear with a smile, a chuckle -- or a belly laugh. We catch a glimpse the Real Deal --and It's a Hoot! I'll take it any way it appears. But, maybe you don't agree. Maybe I'm just trying too hard to be a wise guy and I've got it all wrong. 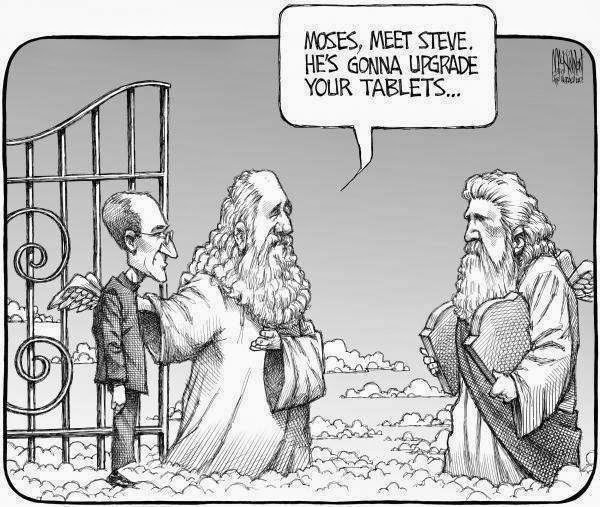 If so, when we meet at the pearly gates, you may get the last laugh! I hope you don't mind if I join you. *In the Tibetan tradition of mind training, Lojong Practice consists of working with a series of training slogans as a framework for understanding how Mind operates, and as an aid in actualizing our commitments to kindness, clarity and compassion -- both on and off the zafu. I wrote a bit more extensively about Lojong in "The (Heart) Beat Goes On" in the MMM Courtesy Wake Up Call awhile back.